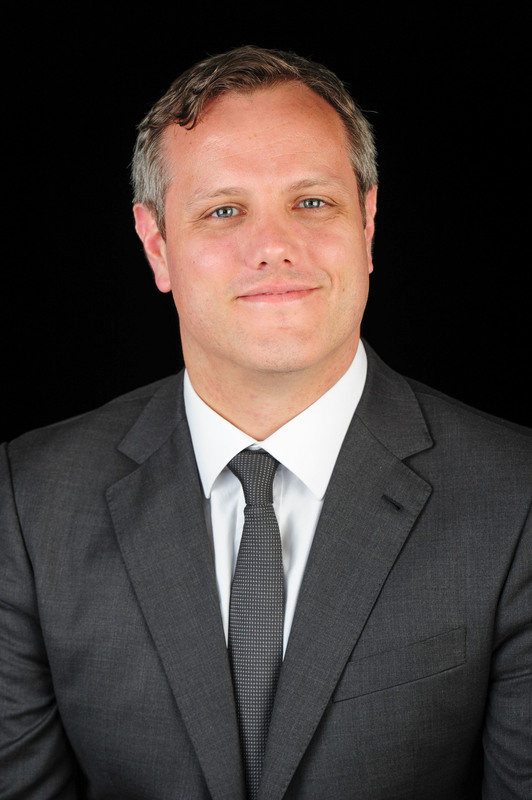 FOR those of you who don’t yet know me, I’m the new head of Electric Vehicles at Nissan Motor (GB). And wow, talk about being in the right place at the right time. As you know, the market for electric vehicles in the UK is booming and every manufacturer is desperately seeking a foothold as more and more motorists are switched on to the benefits of EV ownership. 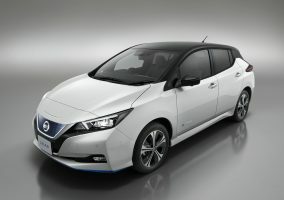 So to have joined the EV team here at Nissan – the undisputed market leaders – just as we launched the new LEAF and prepare for the arrival of the new and improved e-NV200, is hugely exciting. By now, of course, you know for yourselves just what a fantastic proposition we have on our hands with the new LEAF and the volume of sales and enquiries flooding to your dealerships underlines this. The first generation LEAF was a true pioneer, and blazed the trail for every mainstream electric car that followed, becoming the world’s bestselling electric vehicle along the way. But its successor is no less groundbreaking and can be considered a true game-changer in its own right. Being the first second generation EV in the marketplace is huge, and the introduction of advanced driver assistance technology – all part of Nissan’s Intelligent Mobility strategy – truly takes the LEAF to the next level. 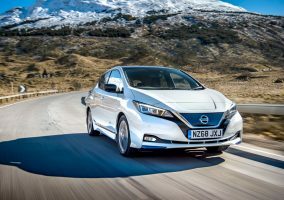 I’ve just returned from Scotland where the UK media launch of the LEAF gave 18 leading journalists the chance to try the car for themselves and even I was taken aback by how universally positive they were in their feedback after 200 miles in the car. Despite cold and wintery conditions, the LEAF performed fabulously, and all those who attended were left raving about its performance and state-of-the-art technology including ProPILOT and ePedal – all key NISSAN Intelligent Mobility technologies. It’s the same story across the network, where we’re seeing the demand for test drives convert into sales that are outstripping even our own in-house projections. 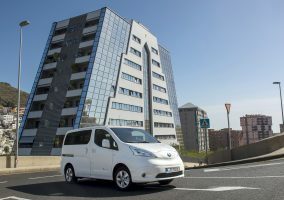 Next month the momentum will build with the UK launch of the new 40kWh e-NV200 and, I have to say this is every bit as exciting as the launch of the new LEAF. e-NV200 was also a pioneer – the first truly practical and workable fully electric van – that combined enough space for two Euro Pallets and an impressive payload with the benefits of zero emissions mobility, low running costs, low SMR costs and attractive TCO. Well, the new model, with its extended range, will move the e-NV200 even further out into pole position and will open up a huge as yet untapped market for Nissan in the UK. The vast majority of fleet operators and SMEs will now have no excuse not to consider an e-NV200 when looking to add a new van to their fleet. The proposition is genuinely that compelling. I’m sure I’ll get to meet many of you over the weeks and months ahead as Nissan’s electric vehicle revolution continues to gather pace and I very much look forward to that. In the meantime though, if you haven’t done so already, I’d urge you to spend as much time as you possibly can behind the wheel of the new LEAF and e-NV200 and encourage members of your teams to do the same. I’m confident that anyone who gets to know these vehicles as I do will be as incredibly excited by their enormous potential as I am. And, when that happens, your enthusiasm for these models will shine through and inspire potential buyers to follow your lead.